Speedy: How’d you hear of this place? 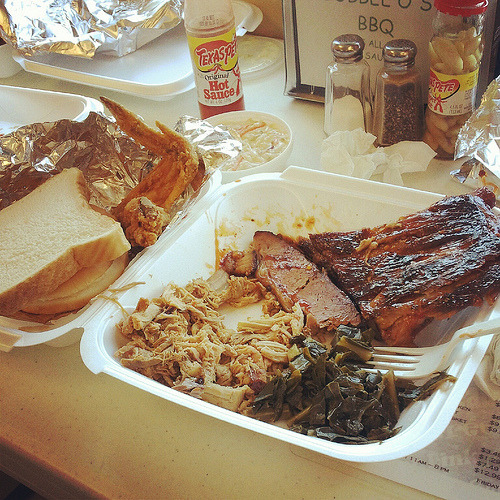 Monk: I literally searched on Yelp for Charlotte’s best BBQ places, and this was #1 on the list. 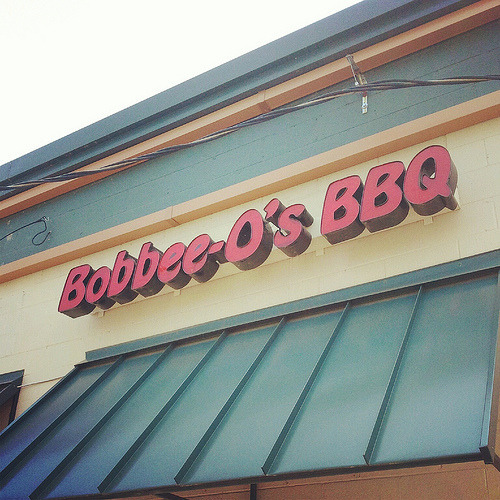 Speedy: Haven’t you learned not to trust Yelpers when it comes to BBQ? Monk (hanging head in shame): I have now. 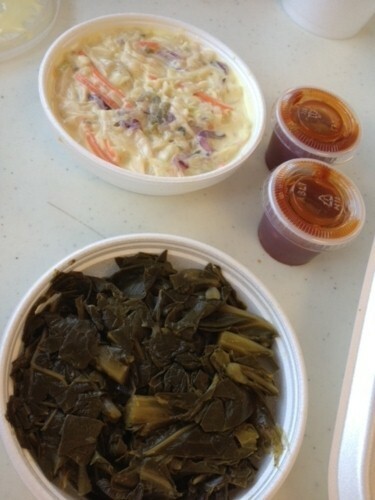 Speedy: The food came out pretty promptly, and everything looked pretty appetizing, save the cole slaw. Speedy: Everyone knows that barbecue slaw should be vinegar based! Mayonnaise just doesn’t belong in the barbecue world! Monk: Don’t forget to tell them about the “wings”. Speedy (now irate): Oh yeah! The wings were fried! 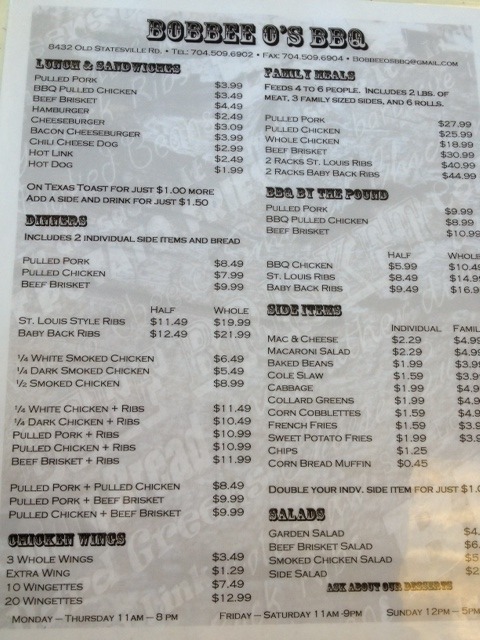 If you call yourself a barbecue restaurant, and you have wings on the menu, they need to be smoked! Monk: Speaking of smoked, did you see the smoker out back? Monk: That’s because it doesn’t exist! Speedy: I thought the flavor was a little lacking. Monk: The pulled pork was decent enough. 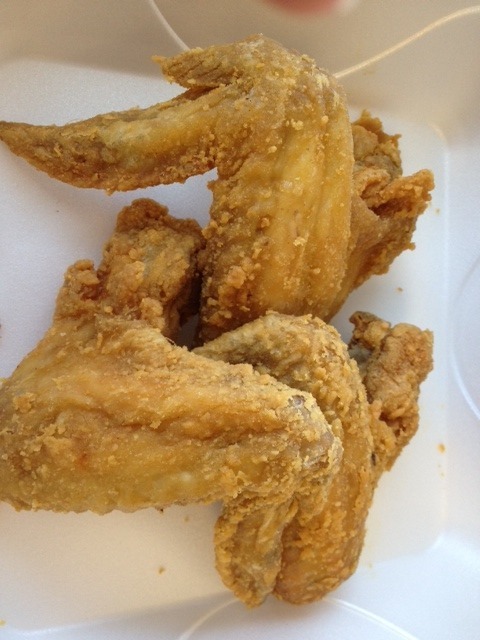 It was eastern NC-style, vinegar-based with a slight kick due to the use of red pepper flakes. But you know, it just didn’t have that smokey, charcoal flavor that I like to taste in my ‘cue. In terms of pulled pork, I would consider it passable. Speedy: I thought the brisket was actually pretty good. The sauce fit well with the beef, and it was plenty tender. The cut wasn’t too fatty. Brisket isn’t exactly a North Carolina specialty, so all things considered, I thought this was the highlight of the meal. 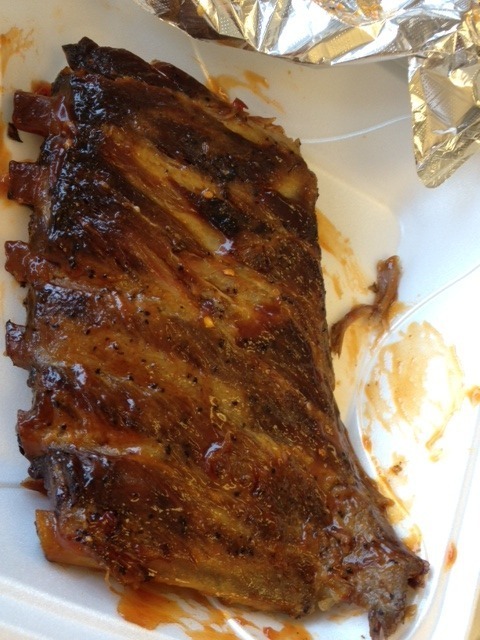 Monk: The ribs were probably second best. They were tender and falling off the bone, and the sweet sauce nicely complemented the meat. But again, there just wasn’t that underlying smoke flavor to really bring it home. Speedy: The collards were collards. Not much more to say about that. And though I didn’t have any, the cole slaw was disgusting. Monk (rolling eyes): Eh – it was fine. Speedy: I guess that’s pretty much it. Next time, keep the Yelp suggestions to yourself.